The Terraces. 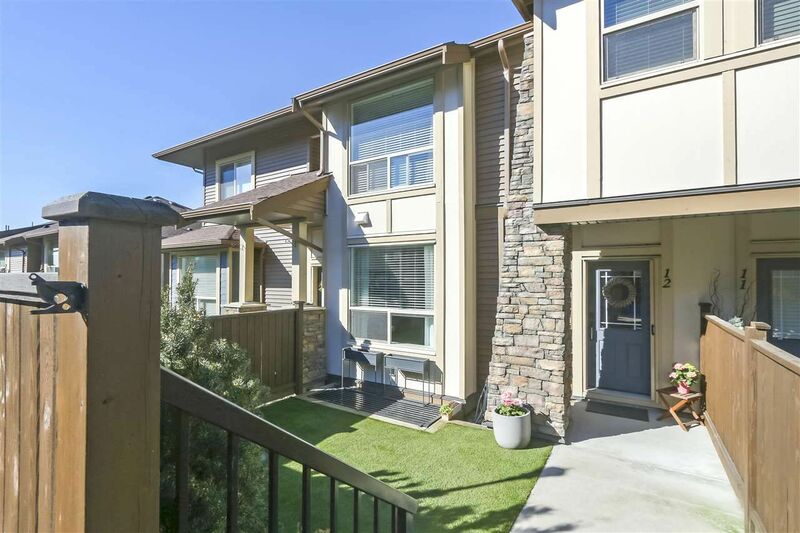 Look no further, this townhome has it all. 2 storey with fully finished basement & side by side double car garage this home boasts 4 bedrooms and 3 1/2 baths. High end finishings throughout including granite in kitchen & all bathrooms, crown moulding & 9 ft ceilings on main. All tastefully decorated and in immaculate condition. Your living room features a reclaimed wood wall & custom wood shelving not to mention built in storage solutions that have been added through the entire home. Your deck off the open concept kitchen is huge & offers outdoor entertaining at its finest. The front gated yard has been upgraded to pet friendly turf. The 4th bedroom is currently set up as a gym complete with rubber flooring, no more gym memberships! All this in a kid friendly complex.